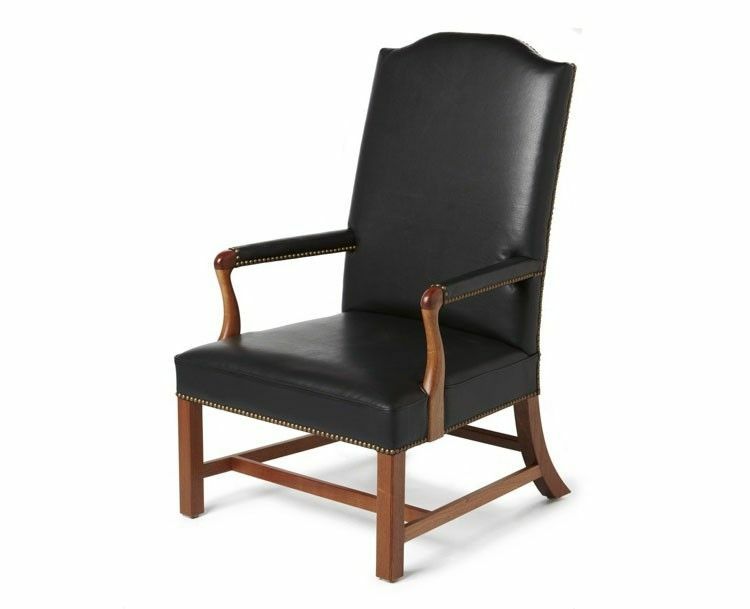 Benjamin Franklin's mahogany open armchair is also called a "lolling chair" or "Martha Washington" chair. The ease of its design in comparison to other 18th century furniture forms made it the perfect spot for lolling or relaxing, think 18th century Barca lounger. 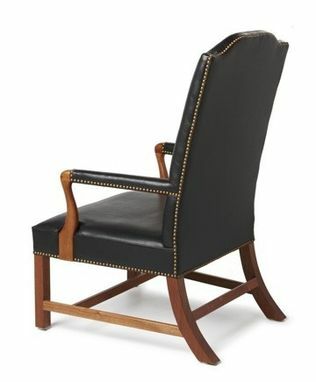 It was a distinctly American furniture form (hence the Martha Washington nickname). Most historians think the original chair was manufacture in London, England, with Philadelphia coming in as a second alternative. 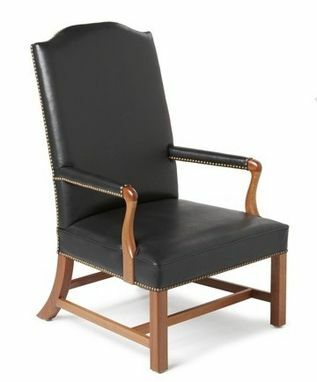 Our hand made reproduction features mahogany framework, black leather, and brass tacks.